XRP refers to a payment protocol developed in 2012 by a company XRP labs inc. XRP is a distributed ledger consensus system that not only facilitates the transfer of cryptocurrencies but also allows for the transfer of traditional fiat currencies as well. XRP is widely celebrated for its lightning speed pace in completing transactions. It is faster than the traditional money transfer SWIFT protocol. How to buy XRP on the exchange? How to buy XRP without exchange? XRP has maintained an enviable third position on the list of the Top global cryptocurrencies by market capitalization. Having attained such a height, there is no doubt that XRP is one of the most sought-after crypto today. There are various ways to buy XRP; you can earn it, pay fiat currency in exchange for it, among other methods. You can buy XRP with cash, bank cards, PayPal, or exchange it for other cryptocurrencies. Below, we will be examining each of these ways. But first of all, it is important that you have an XRP account, which in Cryptocurrency language is referred to as a wallet. A lot of progress has been made by cryptocurrencies and their popularity has soared within the past couple of years. But the truth is that the world still relies majorly on the traditional fiat currencies to do business. Therefore, the easiest way to purchase XRP is simply by paying for it with fiat currency. If you find a prior holder who’s willing to sell their XRP in exchange for regular cash, all you have to do is pay them and get the XRP transferred to your wallet. Another cash option is to use a bank transfer. You need to have access to the bank details of the seller to deposit funds in there. P2P platforms allow for bank transfers or cash deposits to the account of the seller. An exchange like Coinbase allows for bank transfers as a means to buy cryptocurrencies. 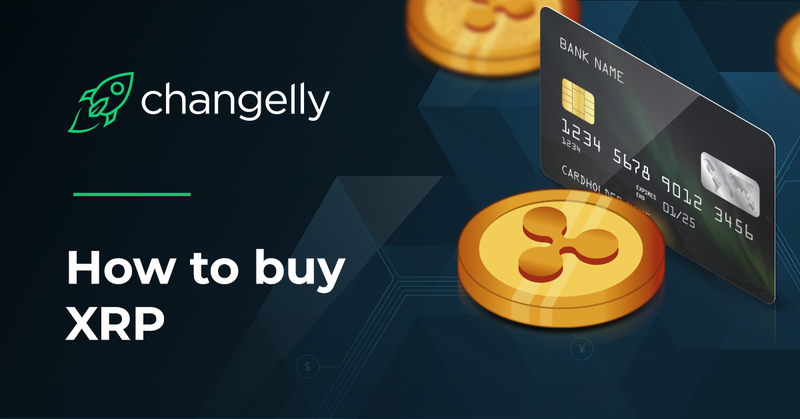 However, since you cannot buy XRP directly on the platform, you will have to buy either Bitcoin or Ethereum and exchange it for XRP on Changelly or other exchanges. As an account holder on a cryptocurrency exchange, you will definitely have funded it with some money at the point of registering. In that case, purchasing XRP becomes very easy. All you have to do is select the amount of XRP you need from your account dashboard and the corresponding amount gets debited from your account. XRP is available on Binance, Changelly, Bitfinex, etc. This is another way to obtain XRP. If you’re already an owner of other cryptocurrencies like Bitcoin, Ethereum, Litecoin, or any of the other cryptocurrencies, then getting XRP is even easier for you. The fact that you already own other cryptocurrencies means you already have either a cryptocurrency wallet or an account with a cryptocurrency exchange. On a cryptocurrency exchange, however, it becomes easier to do, just select the amount of XRP you want with the corresponding cryptocurrency you wish to trade for it. And in a couple of seconds, you have the amount of XRP you need sitting in your wallet. You can buy XRP if you do not have an exchange account or presently own a token or coin. All that is needed is for you to have an XRP wallet address to receive the units you are buying. In this respect, you can buy XRP with cash or even a bank transfer if you find have a willing seller. On Changelly, you can buy XRP by using your credit or debit card. The process is simple and easy to complete and in a matter of a few seconds, your XRP will be in your wallet. If you’re using a cryptowallet, you‘ll need to find someone with the right amount of XRP to do business with. You will have to send PayPal to them in exchange for XRP. Platforms like LocalBitcoins, and Paxful provide an open marketplace where you can meet willing buyers and sellers of XRP. There are various forms of cryptocurrency wallets and they exist, just like a bank account (but without the centralized control), to hold your cryptocurrency funds. Cryptocurrency wallets do not have to hold just one currency, but they can store various forms; bitcoins, Ethereum, XRP etc. You can choose between desktop wallets, online wallets, mobile wallets, or hardware cryptocurrency wallets among others. All of these will serve as the location to which the XRP you purchase will be sent to. If you’re interested in trading XRP rather than just holding it for occasional use in transactions, then you want to consider signing up on a cryptocurrency exchange. This will involve creating an account to verify your identity. XRP can be stored in a number of ways. If you have an account with Binance, you can download their mobile wallet from the iOS/Android store. This is one way to store your XRP. Hardware wallets like Ledger Nano S now support XRP and can be used to store your XRP. The advantage of hardware wallets is that you have control over it as it is not hosted online. You can control access with your private keys and it is the safest. An example of a web wallet for storing XRP is the Toast. It can only be downloaded online and you have access to this on Android, Windows, iOS and MAC.